“Monte Veronese” is a mountain cheese undergoing revival. Made from raw milk, it has a traditional flavour and aroma. 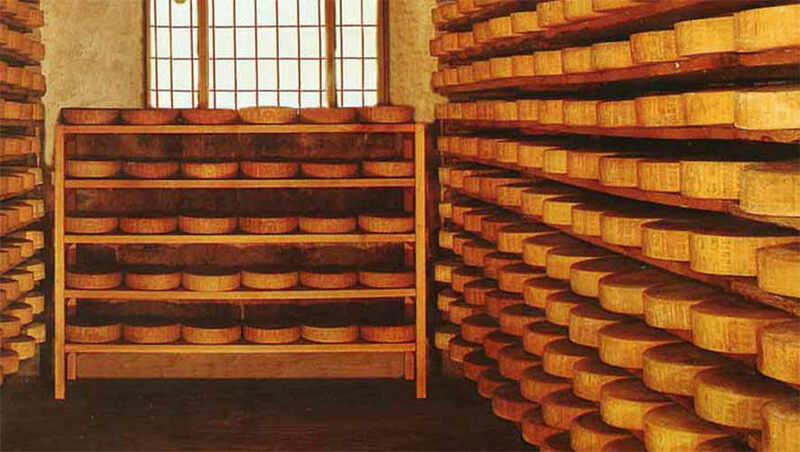 “La Casara Roncolato”, the cheese factory that makes it, is currently one of the busiest and its cheese is in high demand. Monte Veronese is a treasured product of the northern Italian region Veneto, with its origins dating back an entire millennium. One thousand years ago in the area of north Verona dairy products such as Monte Veronese were traded for goods in place of currency. The production methods used in this cheese have been successively passed on over the generations, and this heritage was recognised in 1993 as it received the DOP status (PDO, or Protected Designation or Origin). This designates the production areas in the hills and valleys of north Verona to Monte Baldo. There is a “Consortium for the Protection of PDO Monte Veronese Cheese” which guards the traditional cheese production methods. 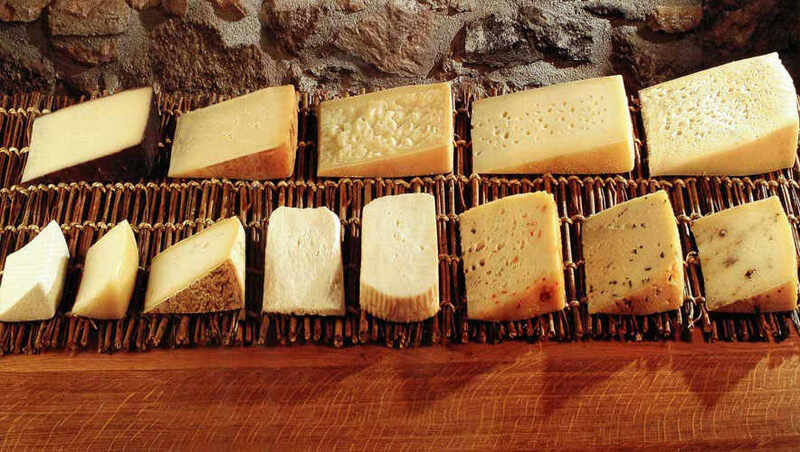 Monte Veronese uses unpasteurised, freshly-squeezed raw milk to make a rich flavourful cheese. There is no artificial processing involved meaning only the perfect batches free from contamination are shipped out for consumption. There are several varieties of Monte Veronese cheese, from some completely natural cheeses made from raw milk and shipped fresh in thirty days, to some that require a long time to mature. Monte Veronese d’allevo Mezzano DOP is a cheese that takes at least 90 days to mature and is shipped out 6 months after it’s made. This is the meaning of mezzano, coming from “mezzo anno”, meaning “half a year”, referencing the length of time the cheese takes to get from the factory floor to the dinner table. It weighs between 8 or 9 kg, with a compact body riddled with small “bird’s eyes” holes. It takes on different colours depending on the dairy cow’s feed, with a white colour in winter owing to the dried feed, and a browner colour in summer as the cows graze on fresh grass. The matured cheese is robust in flavour with a slight sharpness. Monte Veronese d’allevo Vecchio DOP takes anywhere between 12 and 18 months to mature before shipping. The bird’s eyes are more irregular, the flavour is intense and sharp, with a fragrance reminiscent of almond or hazelnuts. Monte Veronese is a perfect food when viewed from a nutritional viewpoint. It contains high amounts of protein that is more easily digested than meat. Also, while it does contain a lot of fat, this fat is rich in carotene owing to red, green and yellow flowers included into the dairy feed. This carotene is then converted by the body into essential vitamin A.